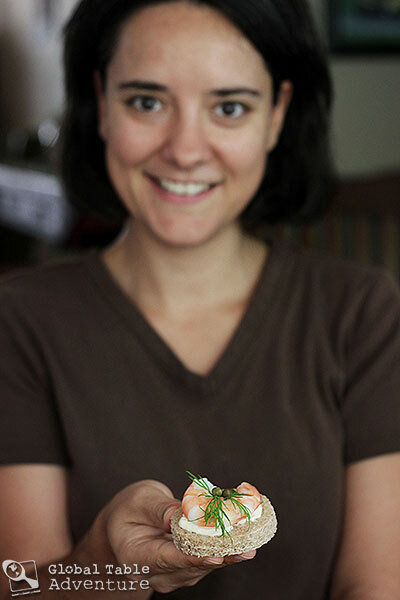 When longtime reader Mette suggested a Norwegian-style shrimp party for this week’s Global Table, I knew I was in luck. 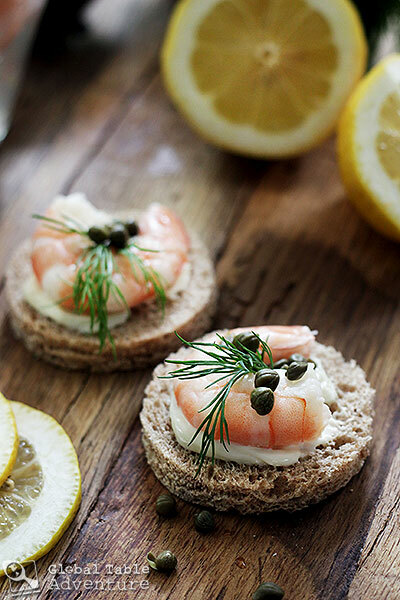 What could be more summery than cracking and assembling DIY shrimp canapes? 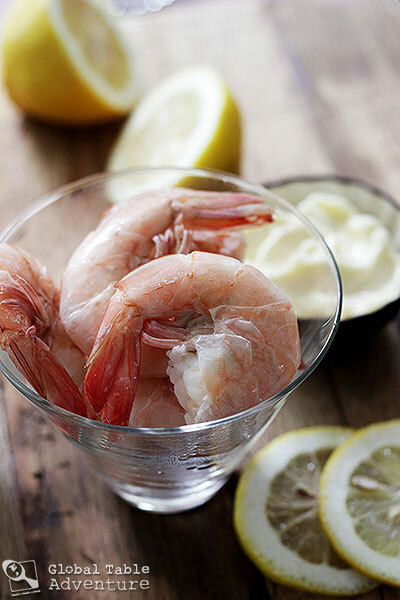 In summer, people also enjoy a lot of fresh shrimps, eaten cold and very simply with white bread, butter, mayonnaise and a squish of lemon. 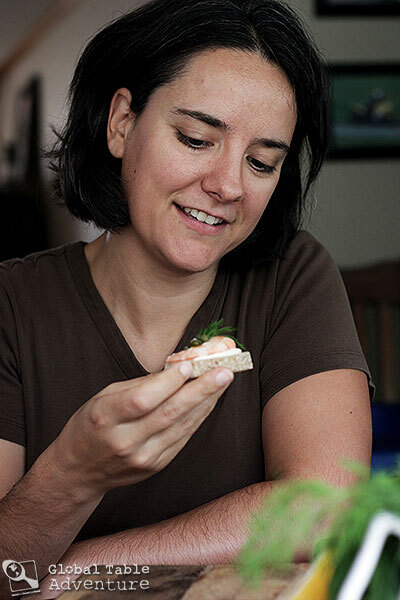 The shrimps with their shells and heads on are set on the table in a big bowl, and everyone peels their own as they load their sandwiches – it’s slow and messy eating and very sociable, since the mouths are free to talk until the hands are done with the peeling. Instead of using traditional white bread, I used slices of soft wheat bread cut into dainty circles with cutters (I used the scraps to make baked French toast the next morning). 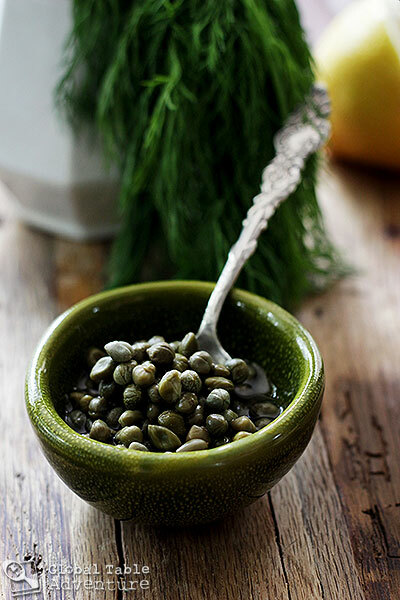 I loaded my canapes up with the salty capers, a splash of lemon juice and a sprig of dill. 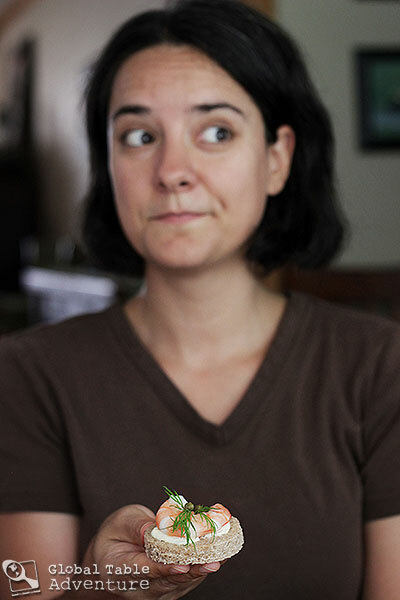 now how to eat it? One bite like sushi? A little much. Boil the shrimp. Mine were jumbo and took 7-8 minutes. (Small shrimp will only need 3-4 minutes). Shock in ice water to keep them from overcooking. Drain. Lay out all ingredients in a DIY spread. While it’s not required, feel free to cut bread into small rounds to up the “cute factor.” Scraps may be used in overnight french toast. Be sure to provide plenty of napkins, sparkling water, and enough smiles to light up the room. 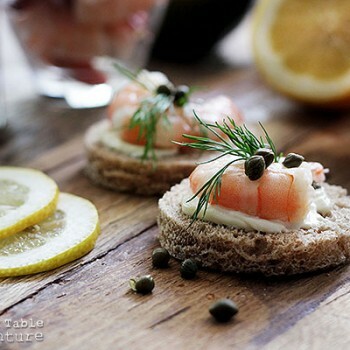 Instead of using traditional white bread, I used slices of soft wheat bread cut into dainty circles with cutters. 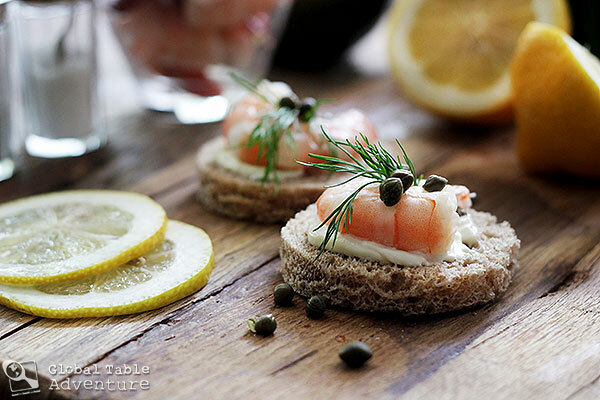 I loaded my canapes up with the salty capers, a splash of lemon juice and a sprig of dill. It was fun assembling each sandwich. Boil the shrimp. Mine were jumbo and took 7-8 minutes. Shock in ice water to keep them from overcooking. Drain. Lay out all ingredients in a DIY spread. 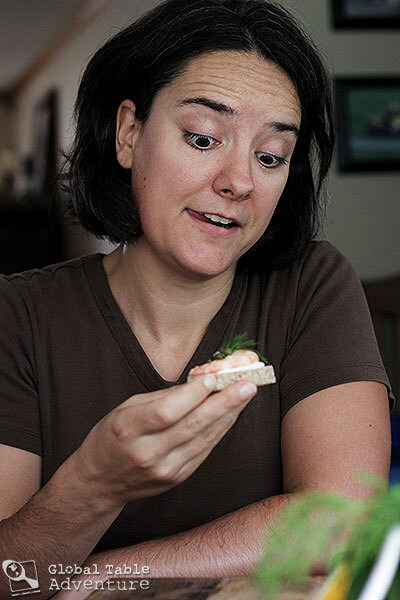 While it's not required, feel free to cut bread into small rounds to up the "cute factor."